Time for another convention in Miami. Same deal, just me and my son. And like I promised myself, a better hotel. Or so I thought. We picked a boutique hotel (I guess that’s what those damn things are called) about two blocks from the Miami Beach convention center. Seemed like a nice place, and then the music started blasting up and down the street. BOMP BOMP BOMP BOMP BOMP BOMP! Finally at 5 a.m. it shut down. Until 9 a.m. So I was freaking exhausted when we went over to the con. At least the night after the con (and 11 miles of walking according to my phone, including treks to lunch and dinner and a boatload of late-night panels while my kid went to a dance) I was tired enough to sleep through it all. 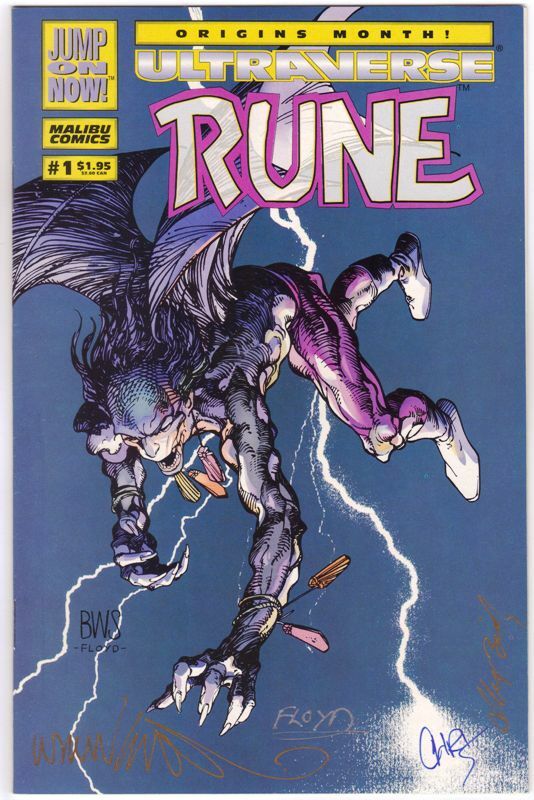 There were a couple of dozen comic dealers at the show, but not a lot of Ultraverse. I scraped a few out of some cheap bins, including four Ultraverse Premiere 0s and some UPC variants (although not nearly as many as the last time I was in Miami). 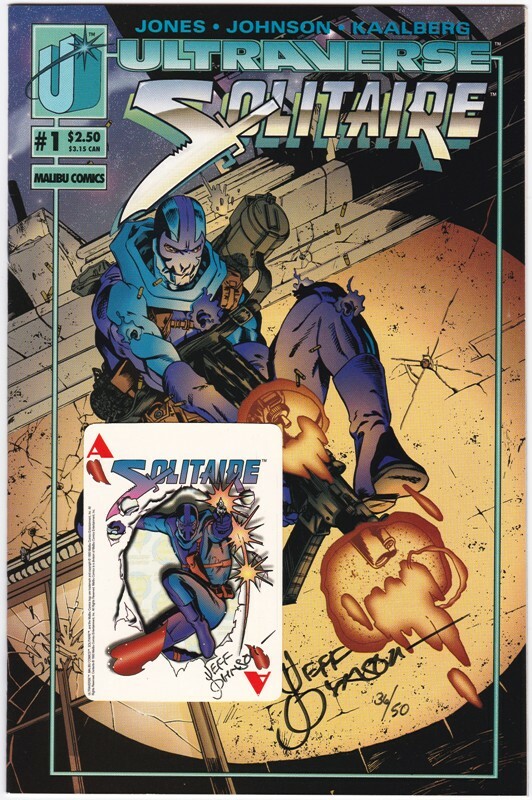 But I did bring a few things for Mike Zeck to sign, including a full run of Eliminator and a couple of Hardcase cards. Then someone in his booth told me he was charging $5 a signature. I have no problem at all with that, but I decided to just get a couple … Eliminator 0 and a Hardcase card. Really nice guy. I actually would recommend this convention to anyone who can deal with South Florida in July. The guest list was great, it was never that crowded and there was a really diverse set of dealers on the floor. I’ll probably go back next year, and just stay in a bigger hotel. So my kid wanted to go to a comic convention down in Miami, which is about five hours south from here. It wasn’t very hard to convince me! So off we went last weekend to Magic City Comic Convention, which is a smaller event (compared to, say, MegaCon in Orlando) at a convention center next to a hotel over by the airport. I decided to go cheap on the hotel to leave us more money for the con by staying at a Motel 6. Next time, there will be less scrimping, I assure you. Anyway, we got to the con pretty early. There were a lot of actors, wrestlers, voice actors, etc. And about 20 comic book creators,including Mantra writer Mike W. Barr. I stopped by his booth and got a couple of things signed. I’m not sure if he had ever seen one of the holographic covers before. Mainly people were bringing him Batman books to sign; I saw one dude give him a couple of Break-Thru books. 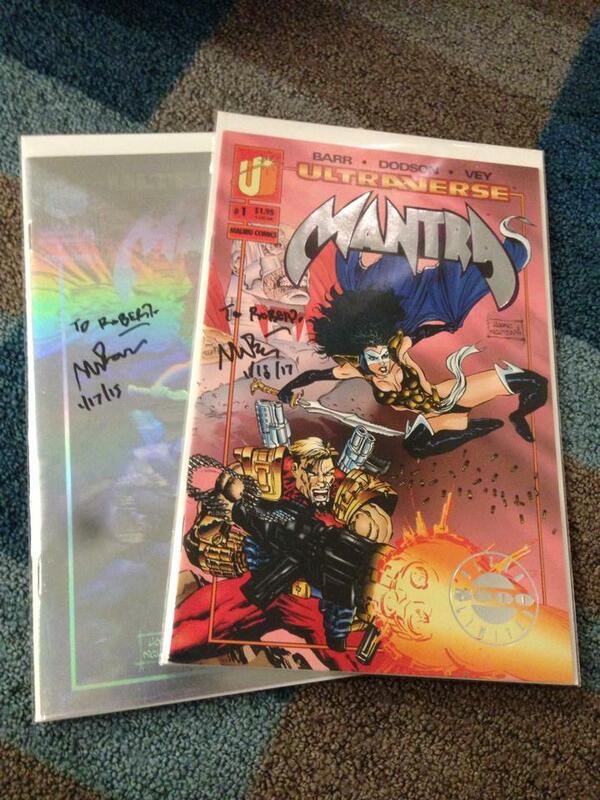 So that’s Ultraverse Note No. 1. It’s 20 years later but there are still signs! 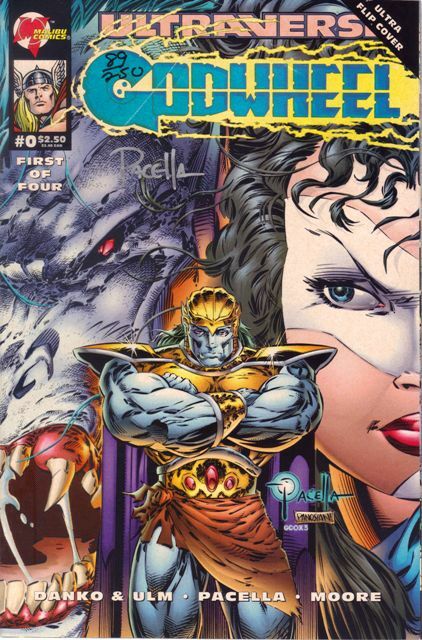 Ultraverse Note No. 2: One of the comic book dealers (there were about 10 total) actually had several quarter bins. I love quarter bins! 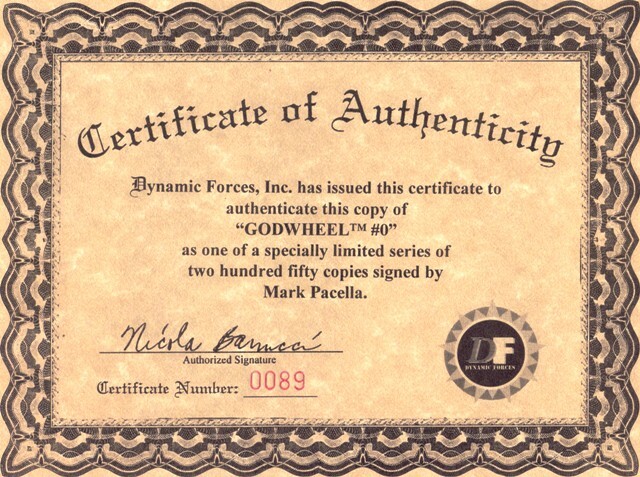 So I dove in and found he had a number of Ultraverse books that had the UPC codes on the cover (follow this link for that nerdiness). And when I say “a number,” I actually mean “80.” To me that was 20 bucks well spent. I thought this was a pretty good find. Solitaire 1 by itself isn’t rare at all, but this is one of the lowest runs I have ever seen for a Dynamic Forces signed version … just 50 (I got No. 36). 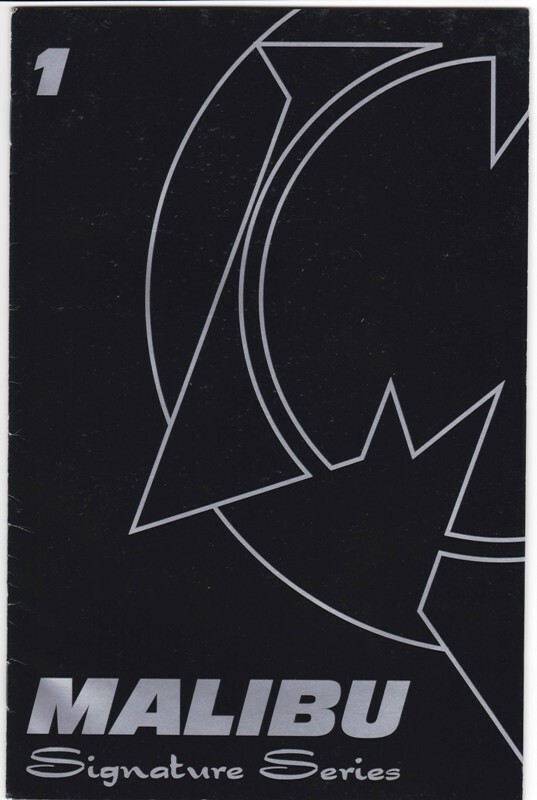 This was the book that came in the black bag with a card. I’ve busted open a few and just about every one I have opened had an Ace of Clubs. 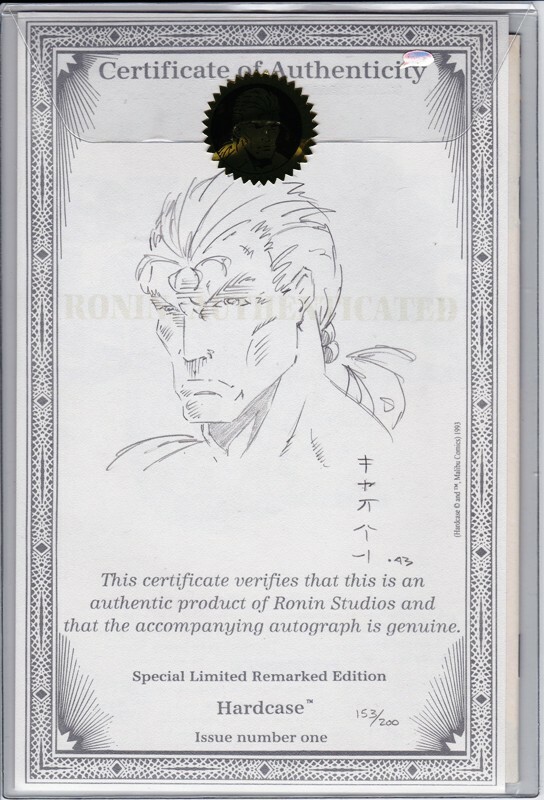 After a lot of searching I found an Ace of Diamonds on eBay. And now I have a Heart. Since the promo card is a Joker (very easy to find) that just leaves me one more card for the set. Pretty low on my list of priorities, though. 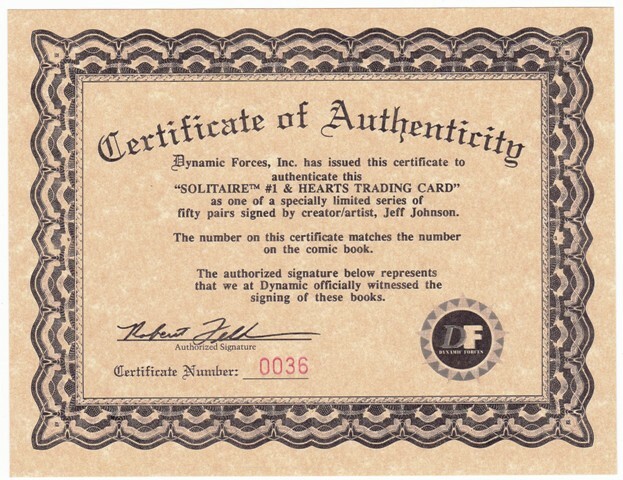 For some reason Solitaire was the focus for three different Dynamic Forces signings: this one, a 75-count set that had the first four issues signed by Jeff Johnson and a 7500-count set that was just the first issue. 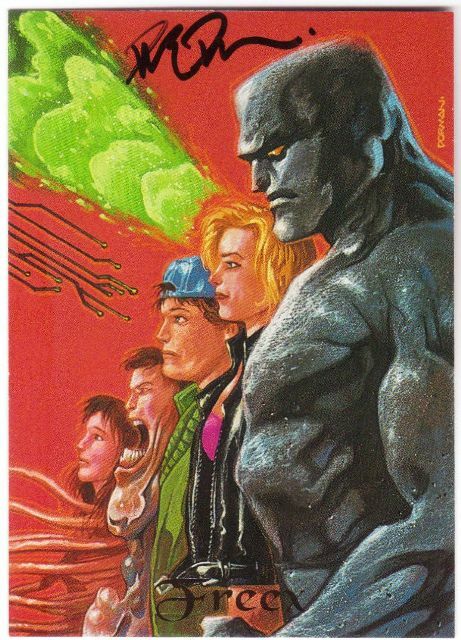 There weren’t too many other DF Ultraverse books; this post has the list as I know it. 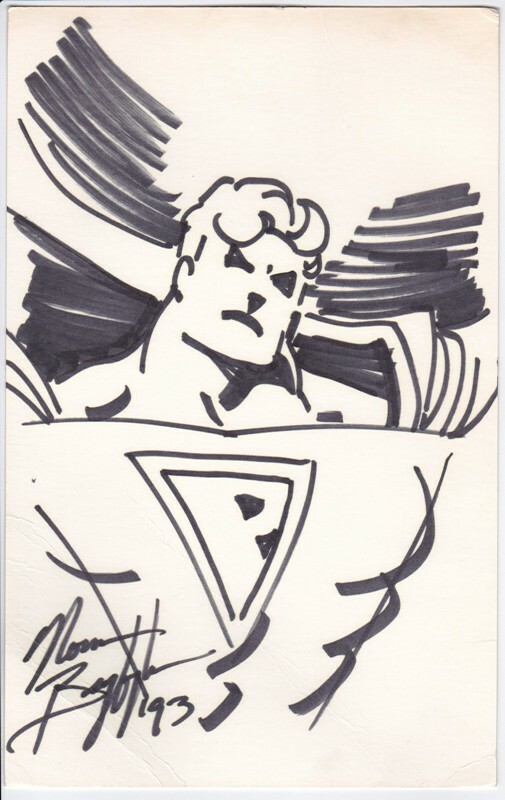 I bought this card a while back (it’s about the size of a comic, thinner than a backing board). 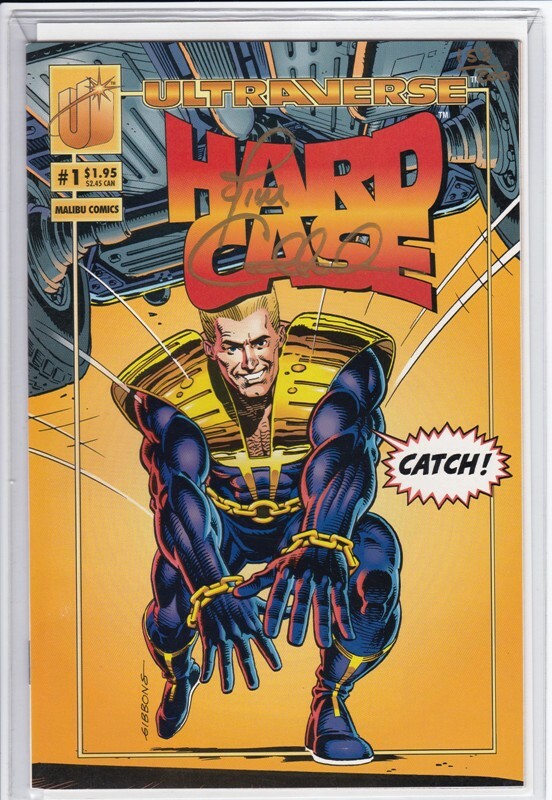 Like it says, it’s a promo for the Hardcase movie and is signed by director Darren Doane and writer James Hudnall. So I looked for the movie and couldn’t find it. Comic shops, eBay, fan groups … nothing turned up. 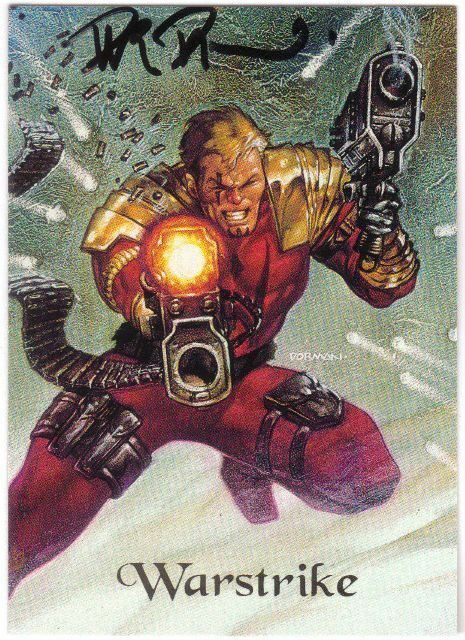 Most Ultraverse fans know about the Firearm movie that came packed with the 0 (zero) issue … I also have a card for that movie. Now that one I have seen. 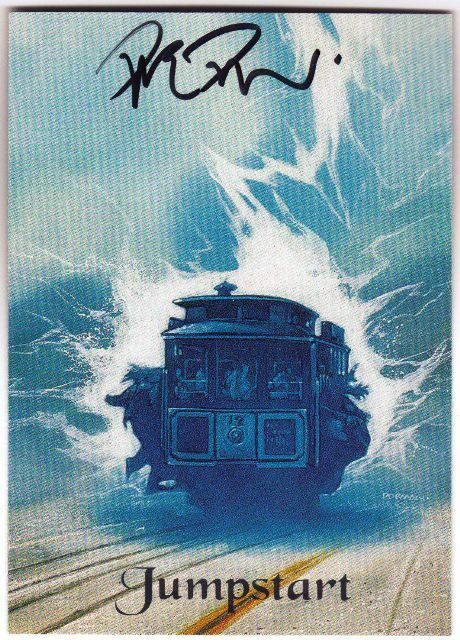 But this Hardcase movie … I had no idea. 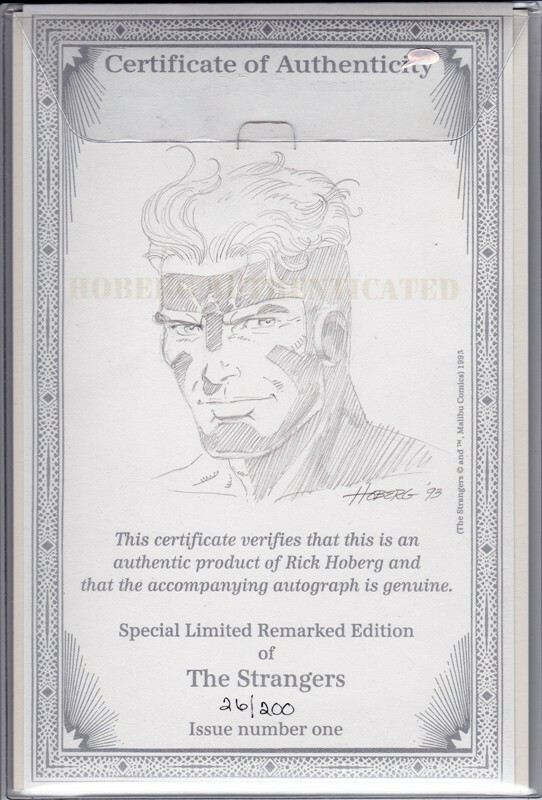 So I turned to the Ultraverse Facebook group. 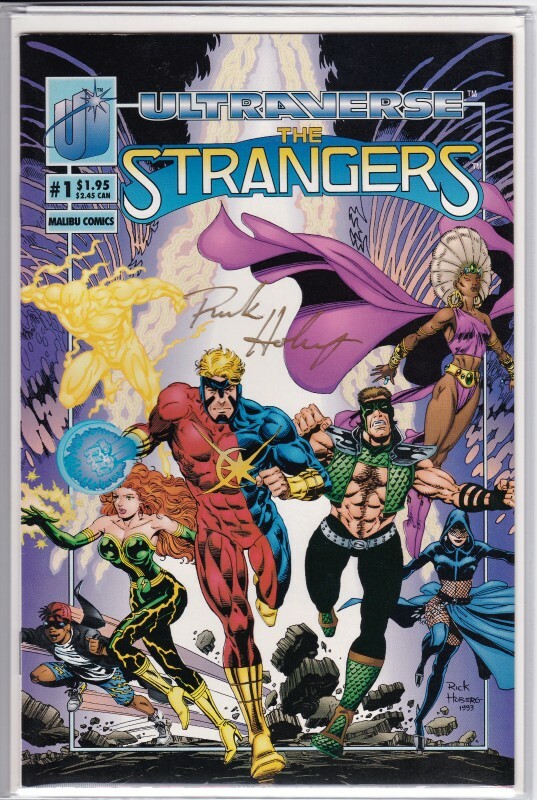 If you are a fan of the Ultraverse at any level, that is a great group to join. Many of the original creators drop in and offer up great stories and nuggets from their days working at Malibu. Very cool. Action movie star Gary Daniels was Hardcase. The short teaser was done not for us or even the direct market but more as something to show off the movie potential of UV properties. And we could also show it off on the convention circuit. Both Darren Doane and Ken Daurio were on staff, with another guy Larry Gitlin, at Malibu during that time. 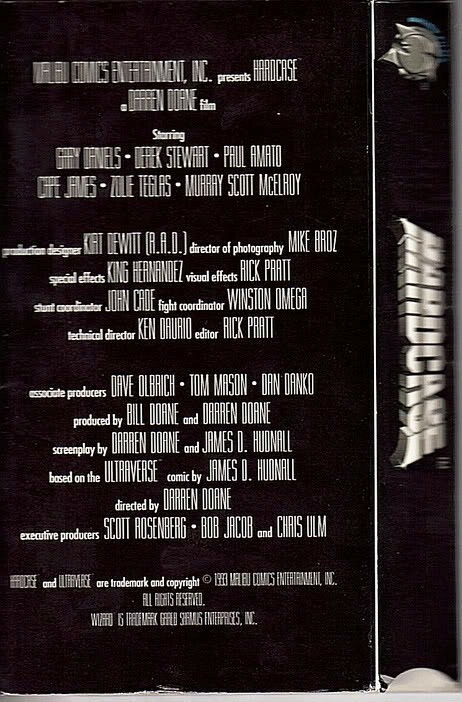 They had a division inhouse called “Malibu Films” that was responsible for all of our promotional videos and short films. After the division was shut down, Darren went on to make music videos and Daurio started writing screenplays. So there you have it: A bit of a background. But I still haven’t seen an actual hard copy of this movie in person. 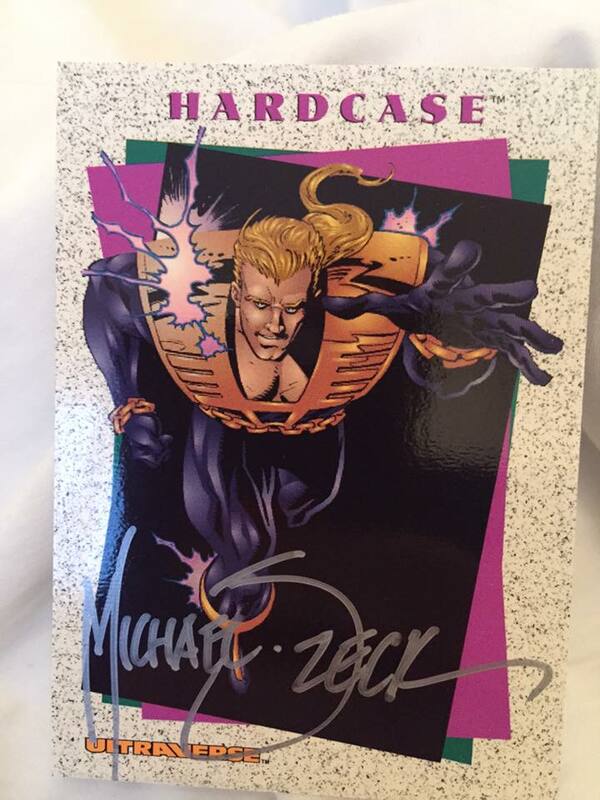 A fellow Ultraverse collector has one, and he donated the pictures of the sleeve below. 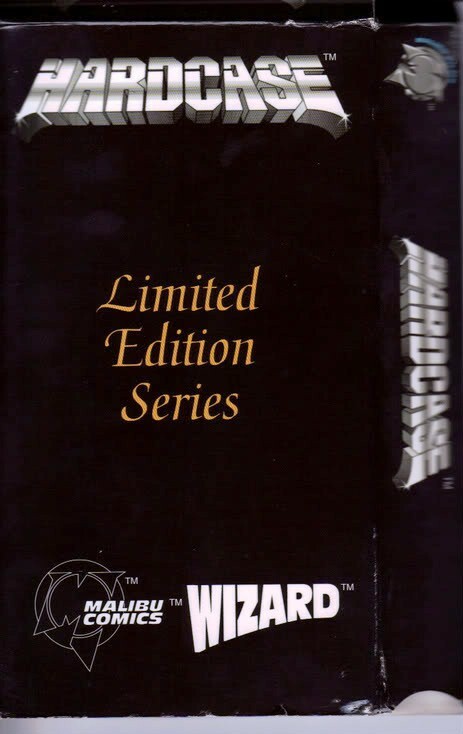 The movie itself is a regular VHS tape. It’s just one more thing for me to keep on my list.